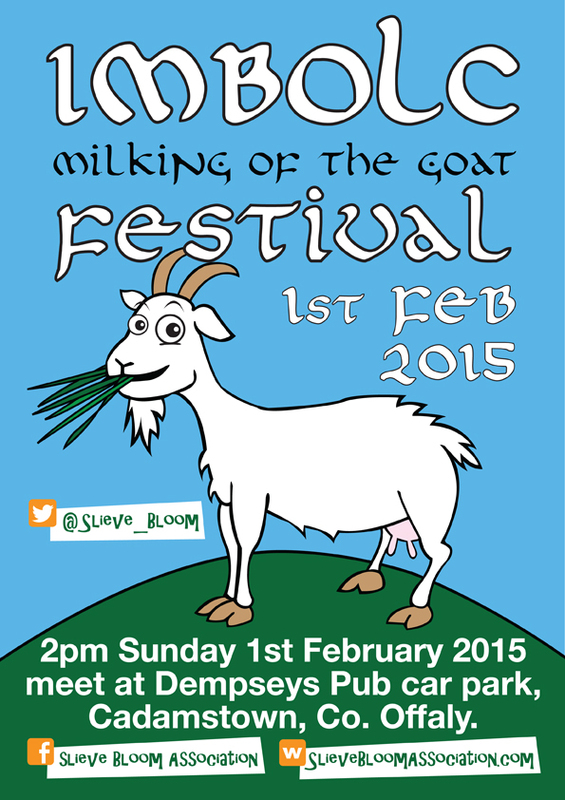 Imbolc Festival 2015 or ‘milking of the goat’ festival. Meet at 2pm on Sunday 1st February 2015 in Dempsey’s Pub Car Park, Cadamstown, County Offaly. This year is The Slieve Bloom Association’s third year reviving the Imbolc Festival. Meet at 2pm on Sunday 1st February 2015 in Dempsey’s Pub Car Park, Cadamstown, County Offaly. Last years Festival in 2014 was great and you can read reports from Mark Graham from Festival Fit in The Irish Times here and from The Laois Nationalist here.